Sierra Leone’s democracy is coming of age, but there are teething problems, causing nervousness for those that have underwritten much of the financial and material loss suffered – including the UN, after ten years of brutal civil war. 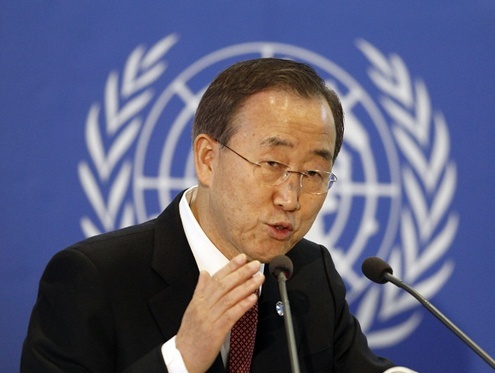 The visit of the UN’s chief – Ban Ki Moon to Sierra Leone this week, brings into sharp focus the economic and political progress that have been achieved by successive governments since the end of the war in 2001. But with a parliament overwhelmingly dominated by the ruling APC party, whose compulsive instinct for surreptitiously clipping the wings of the opposition at will, political temperature is on the increase. Journalists are being arrested and incarcerated by a government that is fast turning its back away from civil liberty, justice and human rights. The government is being accused by the opposition and the media of abusing its majority in parliament, by making changes to the country’s constitution, which could ultimately extend the ruling party’s hold on power in perpetuity. Given the tribal polarisation of politics in Sierra Leone and its effect on building social cohesion and economic inclusiveness, any deviation from constitutional rule based on the promotion of a strong liberal democracy, will unravel the country’s hard won peace. It is with this backdrop that Ban Ki Moon is making his second visit to Sierra Leone this week. 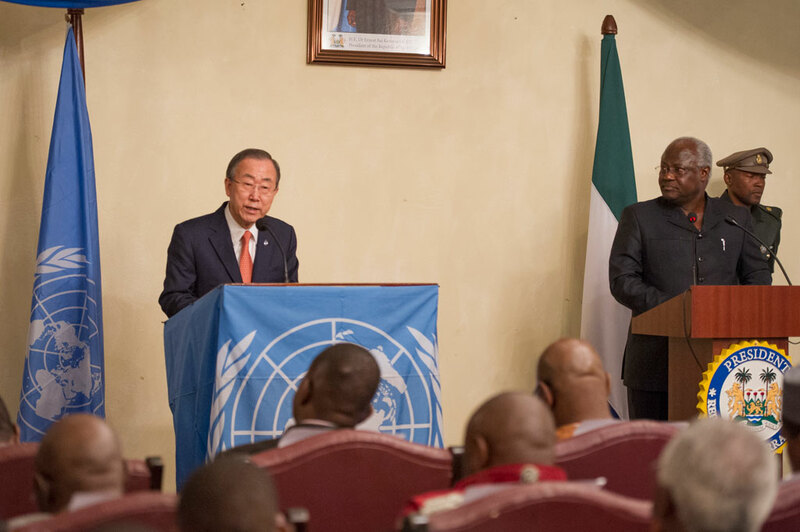 The UN chief arrived in Freetown on Tuesday on a two day visit, with an agenda dominated largely by the ceremony marking the end of the UN Integrated Peacebuilding Office in Sierra Leone (UNIPSIL) after fifteen years of operation. 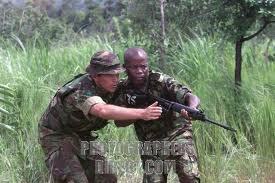 UNIPSIL took over in 2006 from its peacekeeping sister mission – UNAMSIL, which at the height of the war had over 17,000 troops based in Sierra Leone. There is little doubt UNIPSIL has made some progress in achieving its objective, which is; “to provide support to the government of Sierra Leone, in identifying and resolving tensions and threats of potential conflict, monitoring and promoting human rights, and consolidating good governance reforms”. But there are many challenges yet to be resolved. Several observers believe that effort in building the peace and maintaining political stability, is being threatened by the predatory behaviour of the government towards the opposition. The ineffectiveness of the president in curbing the increasing fractious relationships and infighting within his cabinet, is further compounding the erosion of confidence in the government’s ability to manage the affairs of state. Although UNIPSIL was charged with the task of consolidating peace, helping the government prevent fresh conflict; fight corruption, drug trafficking and organised crime, there is plenty of evidence to suggest that after six years in power, very little has changed. Sierra Leone is still classed as a fragile state, despite the recent increase in the country’s Gross Domestic Product (GDP). And, with rising youth unemployment, the prognosis is cause for concern. 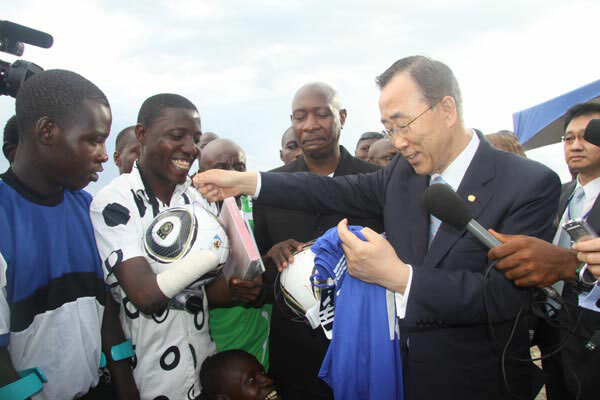 When Ban Ki Moon last visited Sierra Leone in 2010, he expressed concern over the growing levels of poverty and youth unemployment, which he said may threaten the country’s stability, if not addressed. Four years on, there is little sign of poverty and youth unemployment coming down. The government says it is doing all it can to reduce poverty, and last December announced a massive increase in the wages and salaries of thousands of low paid public sector workers. But with a low productivity economy that relies solely on iron ore exports for its revenue, the next three years will prove quite a challenge for the government as GDP is expected to fall by almost 50%. Any further decline in living standards by an already poor majority is likely to affect the stability of the country, and will heighten further political tensions between the government and the opposition. When Ban Ki Moon decided last March to extend the life of the UN mission in Sierra Leone by another twelve months, he was worried about the rising political temperature, caused by the 2012 presidential and general elections. 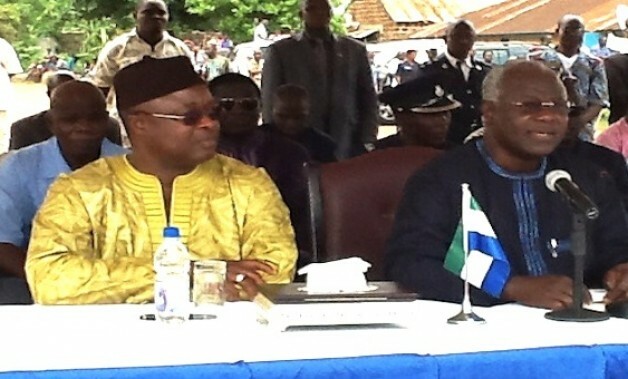 “Over the 15 years of its operations in Sierra Leone, the United Nations supported the Government, civil society organizations and national institutions and organizations in the implementation of peace agreements, the holding of three free, fair and credible elections, national recovery, transition to a more comprehensive peacebuilding agenda, promoting good governance and human rights, and building the capacity of national institutions,” he said. However, despite the real signs of progress in the country, there are serious residual challenges, including strengthening the capacity of security sector agencies, combating transnational organized crime and drug trafficking and the proposed constitutional review process. “Support in addressing these challenges will require a reconfiguration of the mandate of the United Nations Integrated Peacebuilding Office for Sierra Leone,” he stated, adding that it will be important to ensure that there are adequate resources, including logistical capabilities, to enable the UN country team to carry out additional activities and programmes during the transition of UNIPSIL and after its liquidation. 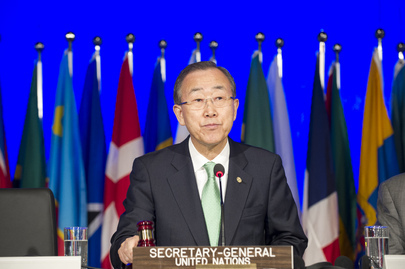 That was Ban Ki Moon speaking in March 2013, discussing the challenges ahead for Sierra Leone and the UN, as well as outlining his objectives going forward. But what has been achieved, and what kind of relationship will the UN Country Office have with the government and people of Sierra Leone? According to a UN report released today about Ban Ki Moon’s visit, the United Nations said that; it has today launched a new phase of support in Sierra Leone, with the transitioning of its political mission to a more development-focused UN presence. The UN says that this is a sign of the country’s sustained recovery from a brutal civil war and an example to follow for countries still grappling with conflict. Fifteen years after it was established, the UN Integrated Peacebuilding Office in Sierra Leone (UNIPSIL) formally closed and transferred its responsibility to the UN Country Team, which consists of 19 agencies, funds and programmes, based on the UN Development Assistance Framework, known as UNDAF. “I can confirm here officially that the United Nations will continue to stand together with the Government and people of Sierra Leone in their march toward further and more participatory democracy and sustainable development and also promoting human rights,” Mr. Ban stressed at the press conference. He told the people of Sierra Leone that the UN Country team and specialized agencies will carry forward some of UNIPSIL’s residual tasks, including support for the ongoing constitutional review process. The UNDAF will help the Government press ahead with implementation of Sierra Leone’s Agenda for Prosperity, a social and economic development strategy for 2013-2018. Sierra Leone contributes police and armed forces to UN and African Union peacekeeping missions around the world, “a strong vote of confidence in the value of UN blue helmets from a country that once hosted the largest UN peacekeeping operation in the world,” Mr. Ban said. 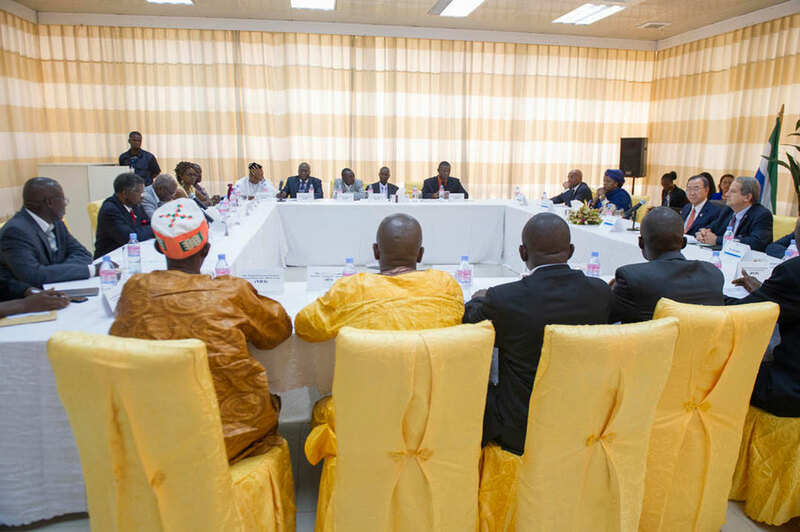 Recognising the importance of liberal democracy in Sierra Leone and the role of the opposition political parties, Ban Ki Moon met with representatives of political parties and civil societies. This meeting with the opposition will give much needed hope, that the ongoing constitutional review process will not be usurped by the government to achieve a return to a one party state. The UN chief’s meeting with the country’s opposition also sends a strong signal to the government, that any attempt to surreptitiously transform the constitution review process into a popular referendum that could extend the president’s fixed term of office, will be strongly rejected. Mr. Ban leaves Freetown for New York tomorrow – 6th March 2014.